Interestingly, the acquisition of knowledge is not a passive process, as a person may have thought. A child must sustain attention, practice information that has been taught, then store it into their memory, and finally, be able to recall information on demand. This process is done simultaneously, and humans do it seemingly unknowingly. Additionally, knowledge, memory, and attention require a person to use specific strategies to assist in their learning process. Metacognition is a term used to describe the process of knowing how to learn and the process of going about it. Students identified as learning disabled often struggle in the ability to use learning strategies. Many students with learning disabilities for example study at a constant rate rather than adjusting their study habits to fit the task at hand. For example, they may have ten words on a spelling list one week and twenty on the next, they will typically choose to study the same length of time, because they are unaware that it should take longer to learn more words. In addition, learning-disabled students have difficulty monitoring their understanding of new information. Teachers can assist learning-disabled students by helping them identify their deficits and provide them with learning strategies and when to use them. Interestingly, since students with learning disabilities can improve their attention and learning through metacognition training, it is believed those students do not suffer from information-processing deficits but suffer from strategy impairments. Of course, not all children progress at the same rate, and brain development comes grows in spurts throughout their development. It is important to recognize that children’s information-processing abilities don’t develop in a smooth, linear fashion, whether they’re average learners or learning disabled. Visual processing information begins at a young age, and it is essential to understand the order of development to better ensure a child’s success. For example, they begin to recognize shapes and space long before they are able to recognize letters and numbers. So, the order of teaching should guide the abilities constant to their age. Therefore, students are able to reach a status where they will be successful in school even if their development is slow. Many children with learning disabilities suffer from motor deficits. Fine motor skills refer to the use of muscles in a hand. The progression of fine motor skills begins to develop from the ages of two until a child is in sixth grade. A fine motor deficit can improve with age, and fortunately, the technology exists to support these students. A gross motor discrepancy is one of the earliest to detect and assess. Although a gross motor deficit does not cause a learning disability, it truly can make a child’s education frustrating and furthermore make their social interactions suffer. A gross motor deficit can be influenced through teaching and therefore the gains made in remediation services can positively affect the information a child is able to convey to teachers and parents. Typically, when a child struggles with language development, it sticks with them throughout their education career and into adulthood. Students with learning disabilities tend to struggle with reading comprehension and vocabulary. Finally, a language disability does affect not only their language arts but also mathematics and social skills. Typically, these difficulties manifest into lower level functioning adults. If a child displays deficits in language, motor skills, and visual processing, they will likely have difficulties processing incoming information. Luckily, these deficits do not cause a learning disability but do contribute to the slow development. These students may require remedial services and specific strategies to assist them in their education. 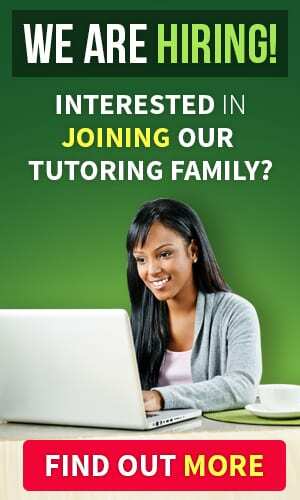 One effective avenue to consider would be one-on-one special education tutoring from a special education expert. This individualized approach will help speed up the learning process considerably. There are a lot of factors which play a significant role in your child’s education. 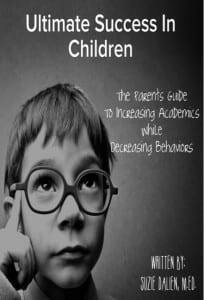 If a child has a deficit in any of these areas, they may suffer academically and socially. Each is linked together because each area depends on one another. If a child is caught early, interventions and services may be put in place to allow the child to experience success. This entry was posted on Tuesday, October 2nd, 2018 at 4:27 pm and is filed under Special Education Tips and tagged as Laura Young, Learning Disabilities. You can follow any responses to this entry through the RSS 2.0 feed. My son, who is now in his junior year of High School, has been in a self contained classroom since, I believe the 5th grade. Now, because there is one classroom, which is used for students with severe behavior disabilities, as well as those with physical challenges, and the less severe, which are students such as my son Harleigh, who, through his teachers, tje school district and his I.E.P. has comprehensive issues as well as dyslexia, but not behavioral problems. My son has come home many days telling me about fellow classmates that have outbursts, who are physically abusive at times as well as verbally, it not only makes it unsafe for other students, but is so disruptive it makes it hard to do their classwork, my son has an A/B average but I’ve never been in his classroom, and he is now a junior and having attendance issues, and he feels, as do I, that he needs to have some specialized counseling. I’ve done the paperwork, but haven’t heard a thing, I’m honestly wondering if he is getting the full education, as he will graduate in just over a year, to prepare him to be self sufficient, to be employed, to drive a car? These are real concerns for me as I am not well and I worry what will he do if something happens to me, his father alienated him, he has an older brother but he’s as economically handicapped as well as just not having the life skills to be self sufficient, as Harleigh…So I feel like I have to step in and be an active player to get my son up to speed, because his truancies are going to be an issue, that I am not going to be able to deal with. 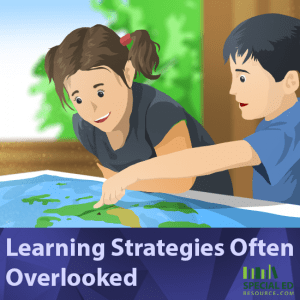 Learning strategies are critical to the development of children. Knowing the cause of each child’s particular individualized need will most certainly help facilitate the proper method by which they learn best. 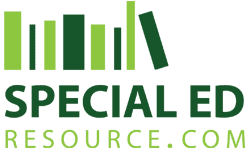 Special education resources are available to understand your child’s needs better.